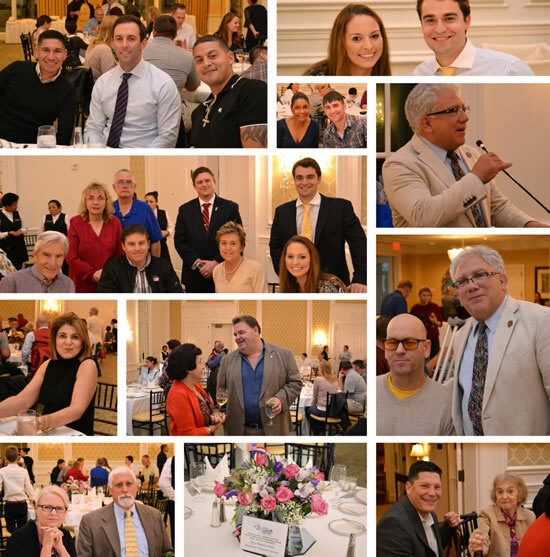 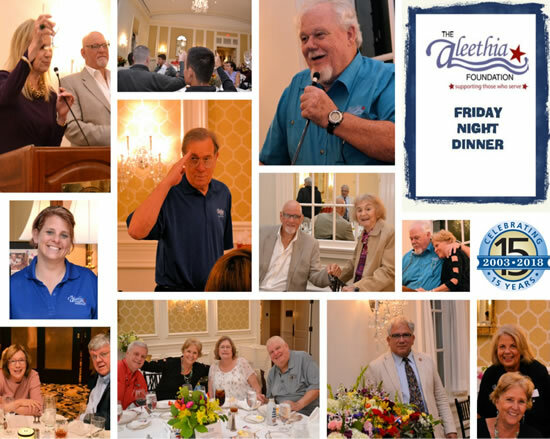 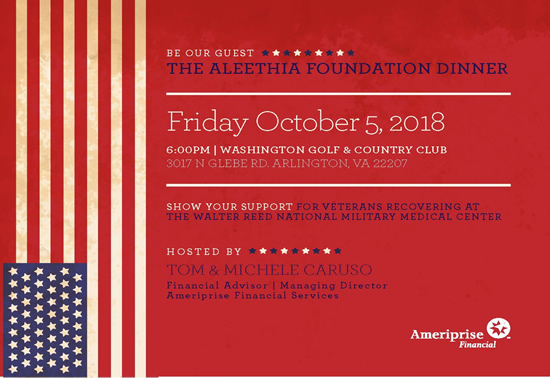 Aleethia wishes to extend our gratitude to Tom Caruso/Ameriprise Financial for hosting the October 5th Friday Night Dinner at Washington Golf & Country Club. 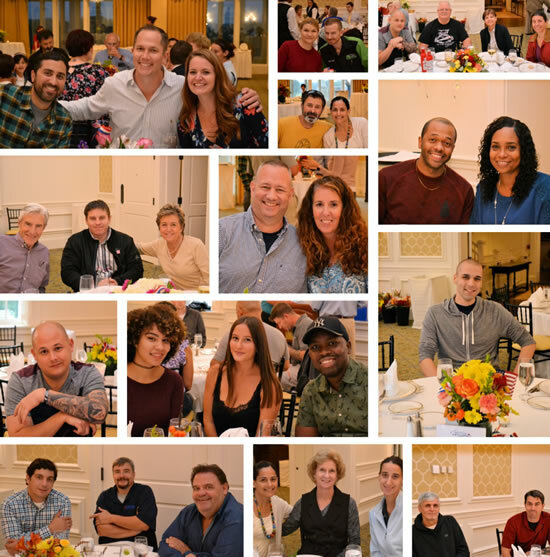 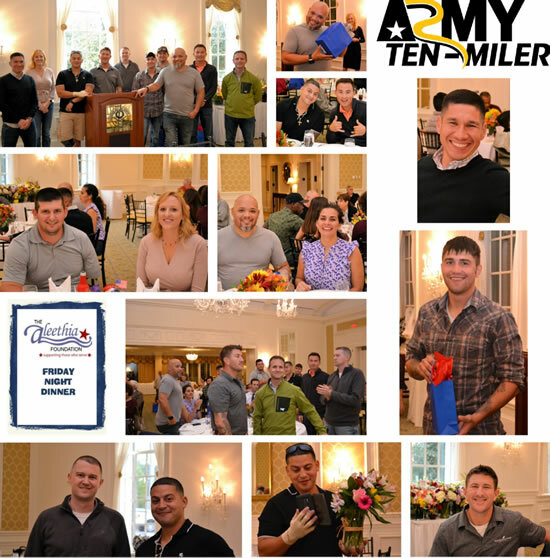 Over 107 wounded/injured/ill service members, their families, caregivers and guests enjoyed an awesome five-course gourmet dinner. 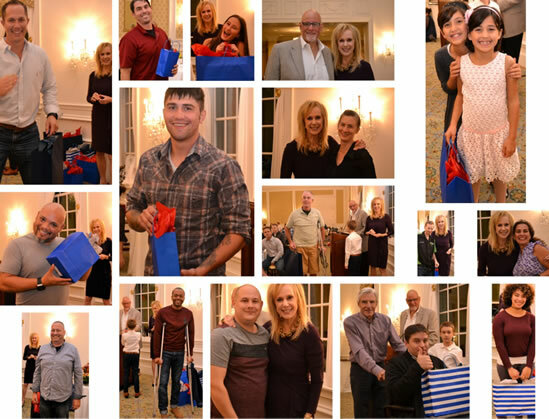 Norine Fuller who has provided over 19,000 gift bags & hundreds of door prizes for the service members since January 2004… This wonderful act of kindness has continued for over 14 years. 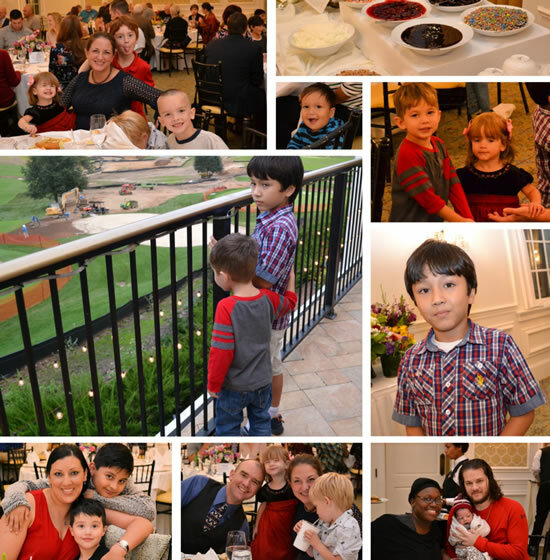 A simple gesture of gratitude from a lovely lady has touched thousands of hearts! 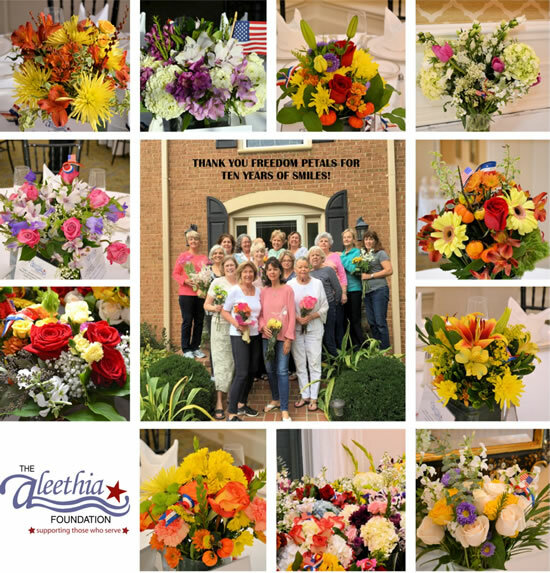 Michele Bevington, Founder of Freedom Petals’ and their volunteers have provided beautiful floral arrangements at many dinners since 2010 to spread joy and smiles through flowers to the service members, caregivers, family members and so much more…..
Special thanks to Washington Golf & Country Club members, including Tom Caruso and Tillie Smithers who have hosted several dinners since 2008. 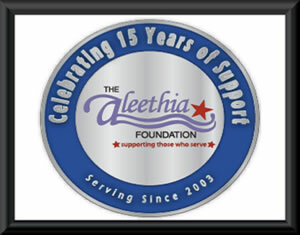 Thanks to all our donors, sponsors and friends who have continued to support Aleethia’s programs over the past 15 years!